Children’s University is run by the Children’s University (CU) Trust. School membership fees are currently £5 and includes the Passport To Learning . Activities must take place outside the normal school day and are always voluntary. Activities can include clubs which run before school, during lunchtime, after school or at weekends and during holidays. All activities are validated/checked by local Children’s University representatives for the quality of learning they provide. Safeguarding arrangements are always the responsibility of the learning provider. What happens after I have completed an activity? Make sure you have your Children’s University Passport To Learning with you and the Learning Destination will give you a stamp for the number of hours the activity counts for in your passport. The more activities you do, the more the hours add up! At what sort of places can I use my Passport To Learning? For starters, lots of your after school clubs and holiday activities. Some of the activity clubs in your local area may also be Learning Destinations and there are a growing number of places such as museums and activity days which are also part of Children’s University learning. How will I know when I have collected enough hours for a certificate? Your school co-ordinator, Miss Dyson, will check your Passport To Learning and tell you when the next set of certificates will be handed out. For your bronze level certificate, you will need 30 hours, 65 hours for silver and 100 hours for gold. 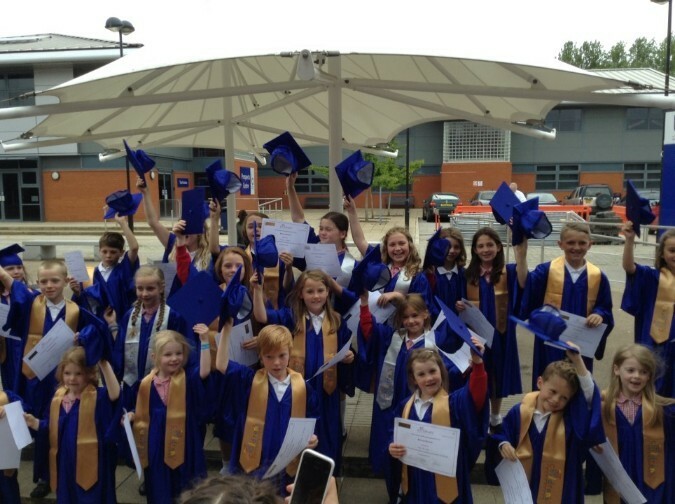 You will usually have the chance to be presented with your certificate at a special graduation ceremony organised by your local Children’s University.